Another IBJJF Pan is in the books. This weekend the American continent’s strongest black-belts duked it out at Irvine, California’s Bren Center. 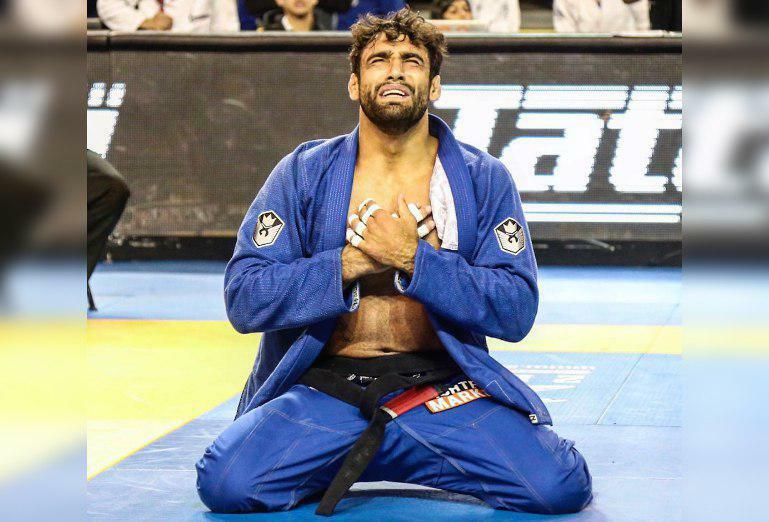 Leandro Lo, who was last year’s champion, returned to defend both his absolute and heavyweight titles, and by the end it was mission accomplished for the NS Brotherhood leader. To get there, Leandro had to face Tanner Rice (Alliance) in his weight division and Gutemberg Pereira (GFTeam) in the open. In the men’s first final, Leandro swept and secured the win by 2-0. In the absolute, Leandro and Gutemberg had a great match. With his rubbery guard, Leandro contained Gutemberg’s pass attempts as he was making the passer’s life harder with a combination of hook and hand on collar. Gutemberg managed to contain Leandro’s sweep attempts for a good chunk of the match, until at the last minute, from the closed guard, Leandro exploded with his bicep on Gutemberg’s ankle, unbalancing him. Leandro went up, scored two points and got on top on half-guard. Gutemberg was still able to restore guard, but with just ten seconds to go, nothing more could be done.